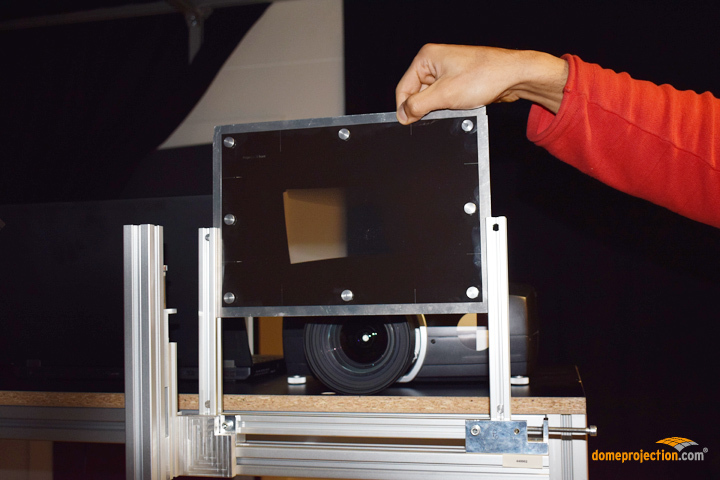 Most of today’s projection technologies cannot display pure and smooth black. This leads to visible grey areas in the overlapping regions of multi-channel projections. While the effect is hardly visible when day scenarios are projected, it becomes a major disturbance when dark content and night visuals are displayed. The common approach is to mitigate the effect by increasing the black level in the non-overlapping areas. The disadvantage of this solution is that the contrast of the system – which is crucial for a good perception of the projected visual – will be severely affected and thereby lowered. The best way to get the overlapping areas under control is the use of so-called optical blending masks. When using this technology, foil or glass based filters with a blending pattern are put in front of the lens. The blending pattern filters the additional light in the overlapping areas and leaves the non-overlapping areas unaffected. The optical blend mask technology is widely known but technically challenging and expensive. Furthermore, the previously used method does not take all parameters into account. For example, the individual distortion of each pair of projector lenses cannot be included in the theoretical design. In practice, it is also hardly possible to reproduce the theoretical projection system under realistic conditions. 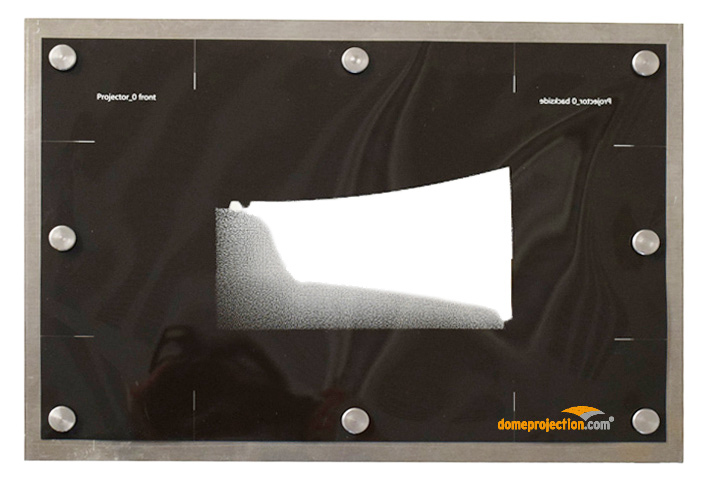 With domeprojection.com®‘s patented NBlend optical blending mask technology the process and complexity of designing and installing the optical blend mask will be significantly reduced. Moreover, our technology allows to produce blend masks in outstanding quality. NBlend can calculate the optical blend mask based on accurate calibration data gathered from the visual system and the mask kit. 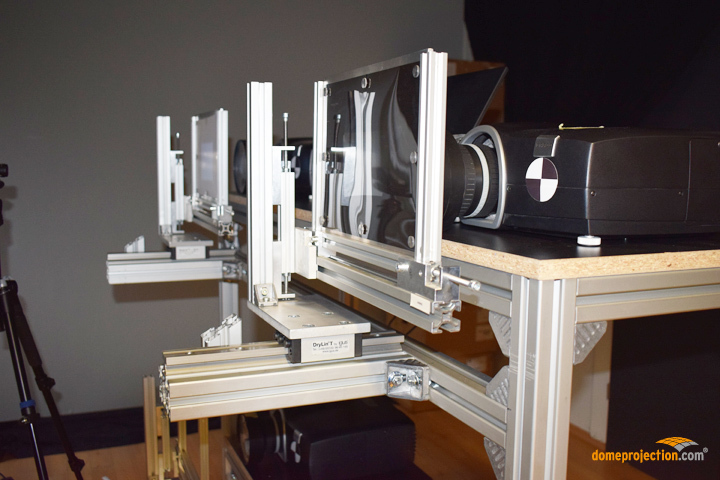 The newly developed combination of mask holder mechanics and optical blend mask features in domeprojection.com® ProjectionTools will push optical blending to an entirely new level.